Exclusive Best Amulets Collection made from Natural Wood and Pure Stainless Steel. Size: 35mm (1 ½ inch). Natural Wood makes each Amulet Unique and Holds Positive and Magic Energy. 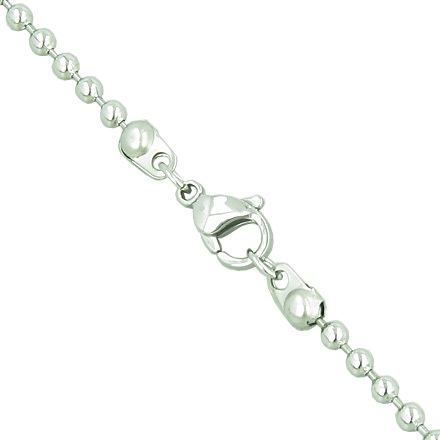 Ready to Wear with Beautiful 18" Bead Style 2.5mm diameter Stainless Steel Chain Necklace. 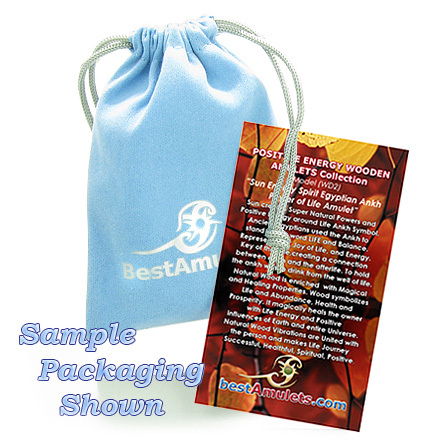 Every Amulet is made with Love and Care and will Amaze with its Quality and Outlook. Comes with Beautiful Velvet Pouch and Detailed Information Card for Metaphysical Properties of Natural Wood and Magical Symbol. Our Exclusive Collection of Unique Natural Wood and Pure Stainless Steel Amulets. Each Amulet is Made with Love and Care and Absolutely Unique due to Natural Qualities of Wood and Magic Symbols artwork. 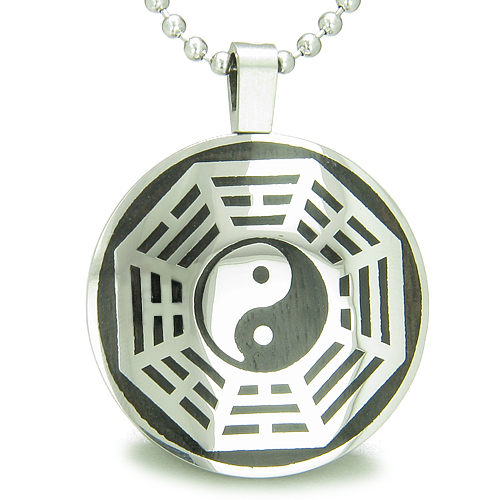 The Amulet holds Good Luck, Prosperity, Protection and Life Powers. Each Amulet is Ready to wear with Gorgeous Bead Style Stainless Steel Necklace Chain and comes with Beautiful Gift Style Velvet Pouch and Detailed Information Card with Metaphysical Properties of Natural Wood and Meaning of the Symbol. 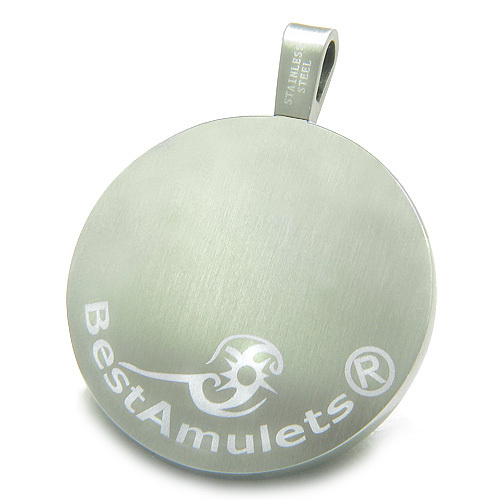 Amulet creates Strong Powers of Nature around the wearier. 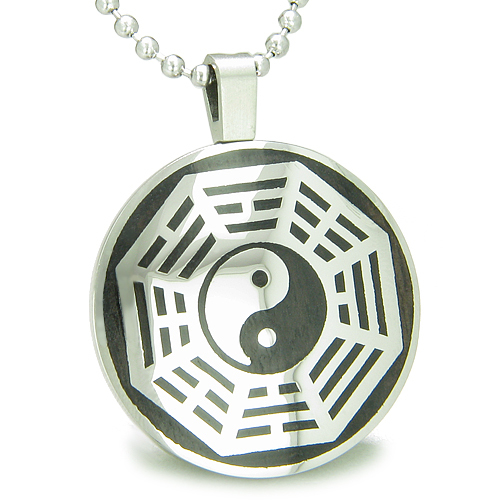 Yin Yang Symbolizes YOU and each of the Eight Trigrams supports you and represent: Earth, Thunder, Fire, Lake, Mountain, Water, Wind and the King. 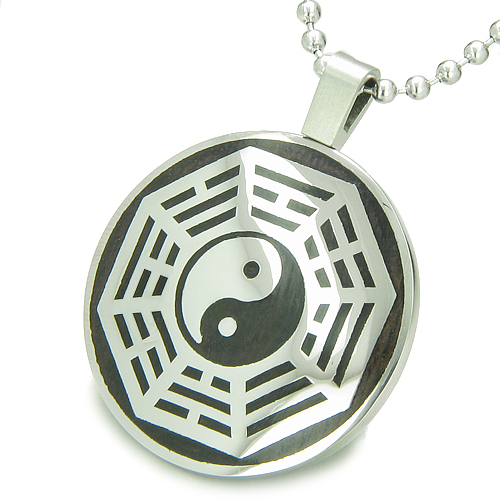 Ba Gua are also symbols of wealth, fortune and prosperity in your home, and place of work. Natural Wood is enriched with Magical and Healing Properties. Wood symbolizes Life and Abundance, Health and Prosperity. It magically heals the owner with Life Energy and Positive influences of Earth and entire Universe. Natural Wood Vibrations are United with the person and makes Life Journey Successful, Healthful, Spiritual and Positive.